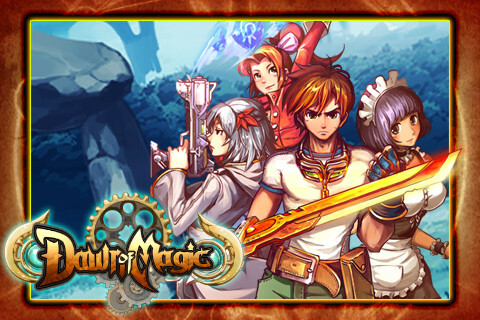 A really fun RPG game. Graphics are very nice. We need more turn based games like this on the iOS! Can you change the heroes name? Also you should make the game autosave. Interesting storyline and a great game. Especially sine it's free :) Any cheats for the G Packages? I agree, easy to control and great plot so far! Anyone knows how to break the seal in the holy hall. I am stuck there. I am stuck after visiting the tunnels in the library in the village of origin. I think the sage said to go east on the path that leads to the ruins, but I can't go that way yet because it leads to the harbor... Help? im stuck at the library in the village of origin i dont catch what the sage said and know im lost help? im stuck there 2. I don't know were to go after the library tunnels. Help? please??? How does the different answers for character questions affect the game? And any hints on choosing them? Where is the facility center? M stuck too.. Anyone know where is e facility center? Ohh.. I found it.. Fm holy city corridor exit right to outskirts of capital exit left top to organization base.. At facility lvl2 exit on e left to facility center.. I'm stuck on the bit when you have to defeat the guardian beast in labyrinth 2 please help!! wheres is the capital corridor? im stuck at holly hall. someone help me plz. I'm back at facility center and it stinks trying to level up. Only one xp and one gold really? What level is everyone else? I'm 59 with jack 47 with others. Please how do you defeat the guardian beast in the labyrinth please how do you defeat it??!!!! Has anyone restarted or played a new game? The screen says you will keep G, slots and evade but when I started, I was missing all the G I had..... Bug? I have been told to go to the capital to the knights building to look for Cleo. Where is the capital?